Sometimes, we as Hadoop administrators are faced with questions like 1) Do we have enough capacity (cpu & memory) to add new workloads/users 2) Why are some user applications getting killed? 3) When is preemption kicking in? and 4) Do we have sufficient resources to satisfy a particular user community's SLA under peak conditions? Having this information available as in 'viewing after the fact' would greatly help in right-sizing the cluster, capacity planning, workload patterns and resource consumption. YARN, the resource manager for Hadoop 2.0 has REST API’s that allow us to get information about the cluster such as status of the cluster, information about nodes in the cluster, metrics of the cluster, scheduler information and information about applications on the cluster. This information if we can collect over a continuous time interval would answer most of our questions and possibly provide more insights into usage of Hadoop clusters. 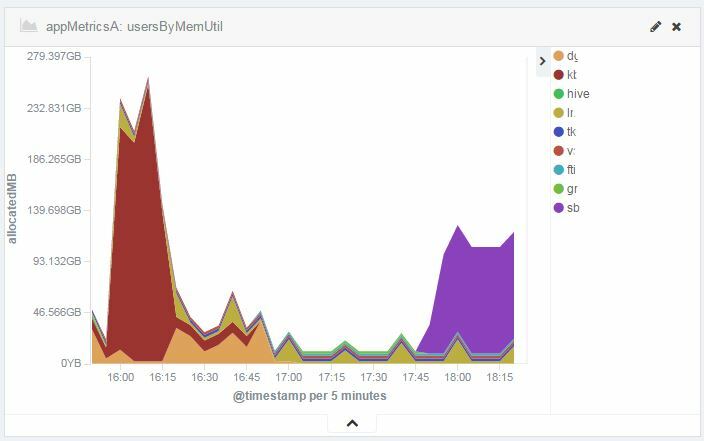 Since we want this monitoring solution to be flexible, extensible and zero-configuration to the Hadoop cluster, we have decided to use logstash - to collect, parse and transform the metrics, elasticsearch - to store the metrics and kibana - for data visualisation. Finally we forward the events to elasticsearch for indexing. All the code is available in the github repository. 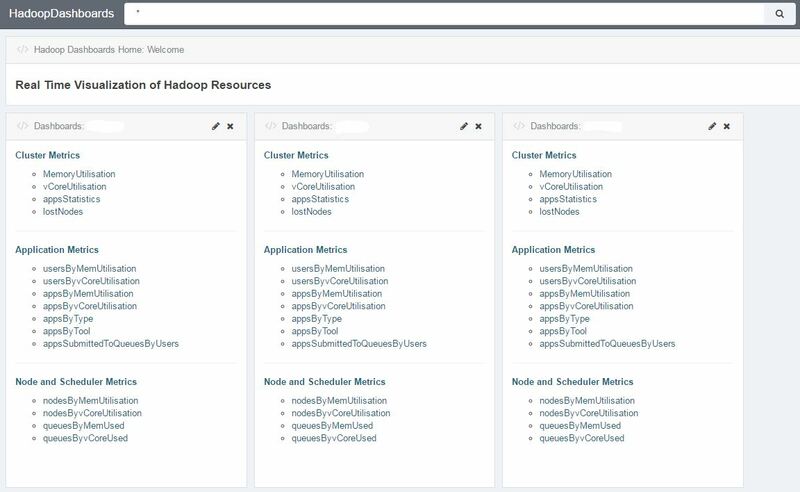 By changing the Hadoop namenode and elasticsearch endpoint you should be able to get this up and running at your organisation. If you are interested, please create pull request to contribute and collaborate on this work. 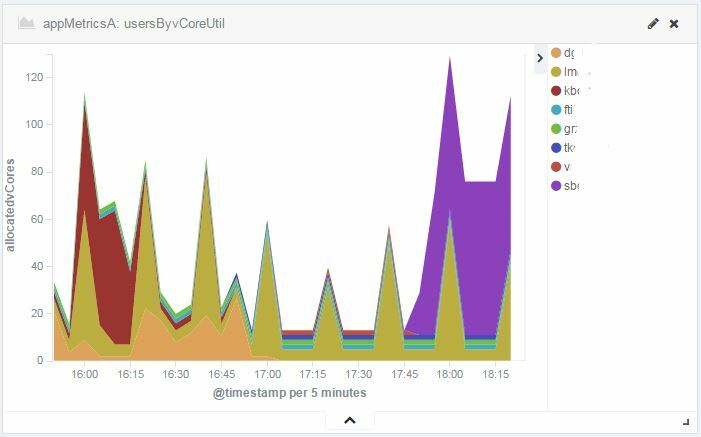 The metrics exposed through YARN and SPARK REST APIs can be successfully exploited to provide more information to Hadoop administrators and management to aid in capacity planning and right-sizing the Hadoop Cluster.